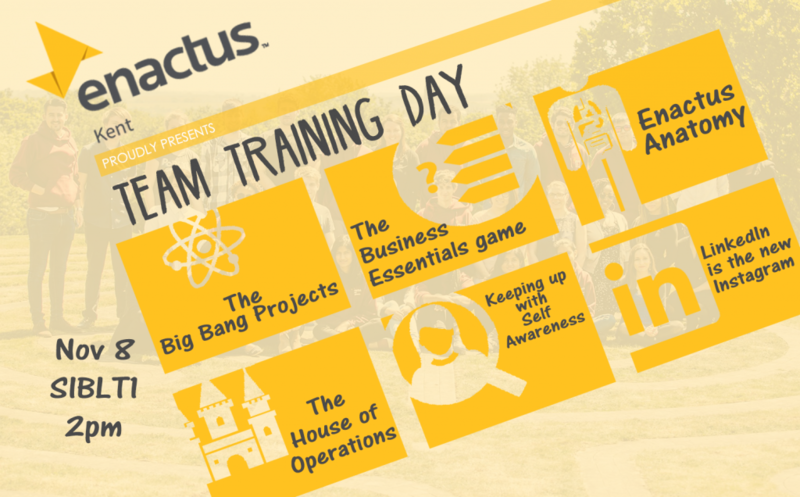 Every year, Enactus teams from universities all over the UK come together in London to present their newest ideas for self-sustainable business and volunteer projects. Each team presents the work they’ve accomplished throughout the year in front of a panel of judges made up of Enactus sponsors like KPMG, Tesco, AIG, EY, Unilever etc. As it includes presentations requiring public speaking skills and answering questions in front of a panel of judges, this experience is a great opportunity that can add value to the student’s CV as well. In addition to this, participants will be able to meet prospective employers as there will be a dedicated Careers Fair at the event which will include many of the Enactus UK sponsors (a complete list of sponsors can be found here). Enactus Kent is looking for students to join their team to prepare for the 2018 regional and national Enactus competitions. 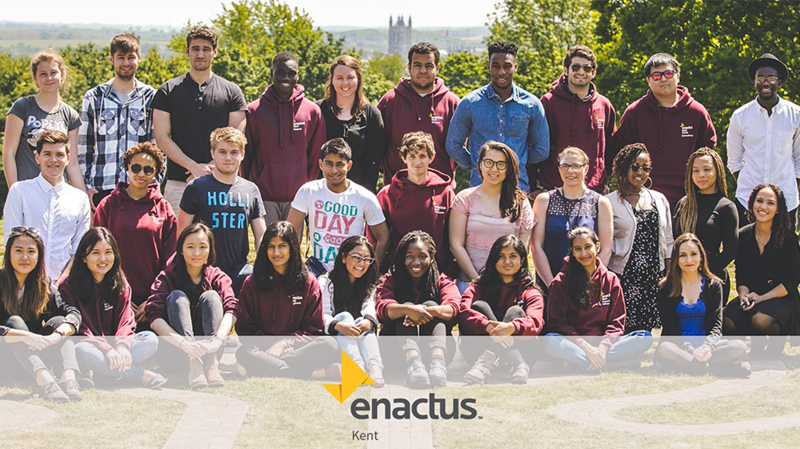 Enactus Kent is a student organisation which creates volunteer projects that are environmentally and economically sustainable, to solve problems in communities around the world. We are a part of Enactus, an international non-profit organisation aimed at university students, in order to make a difference in the community while developing skills to become socially responsible leaders. Currently, Enactus has 70,000 students spread across 36 countries working on nearly 5000 projects a year. Kent Union supports over a hundred and fifty student-run societies and sports clubs. Getting involved in any society or club can be great for your employability, but one of the most relevant is Enactus Kent, part of the worldwide Enactus volunteering organisation. Jameela Ahmed from Enactus Kent would like to introduce you to the work they are doing in Canterbury to help change people’s lives, and to tell you how you can get involved. See the end of the article for the events they are holding during Welcome Week and the first week of term. Enactus is a worldwide organisation which uses entrepreneurial knowledge to help empower people to change their livelihoods in a sustainable way. It’s an international non-profit organisation, with over 70,000 students in 36 countries, working on nearly 5000 projects. It is aimed at university students by business leaders, in order to make a difference in the community while helping them develop skills to become socially responsible business leaders. Enactus Kent is a student led organisation, where students are encouraged to create and run their own volunteer projects.